Wilson County Schools is committed to encouraging students to aim high throughout their school careers so that they will be ready for any pathway they choose after high school. The path may lead them to a college, university, trade school, apprenticeship, the military or directly into a career that will allow them to advance with time, support themselves, and also support a family. Wilson County Schools is committed to promoting citizenship, character education, collaboration and problem solving among other life skills as means to prepare students for higher education, the workforce and for life. Higher test scores and graduation rates each year continue to be the norm for Wilson County Schools and are the data that prove students are being equipped with the skills to lead successful lives after graduation. Wilson County Schools is a high-quality school system with a top-notch staff dedicated not only to student success but also to contributing to the success of the Wilson community as a whole.Private, religious and charter schools in our area include Greenfield School, Wilson Christian Academy, Community Christian School and Sallie B. Howard School for the Arts and Education. All are well-known for their academics, character education and athletics. Barton College, founded in 1902, is a four-year, private, liberal arts college located in Wilson, North Carolina. Ranked by U.S. News & World Report as one of the 2012 Best Regional Colleges in the South and by Princeton Review as one of the 2012 Best Colleges in the Southeast, Barton offers a wide range of professional and liberal arts programs leading to the baccalaureate degree, as well as a new Master of Education degree in Elementary Education.The College consistently ranks high in value-added education as measured by the Collegiate Learning Assessment through the Council for Aid to Education. Committed to providing a challenging academic environment in the classroom, Barton also provides a strong focus on student leadership development outside the classroom. A member of the NCAA Division II and the Conference Carolinas, Barton supports 16 athletic teams. Home of the 2007 NCAA DII National Basketball Champions, Barton is regionally and nationally recognized for its commitment to student-athletes and to its strong athletics program. The College boasts a solid international travel study program and has an active honors program. Serving a population of about 1,180 students, the College draws students regionally, nationally, and internationally to provide a remarkably diverse student population for the Barton Experience. The foundation of the Barton Experience is the College’s promise to provide Barton students with the tools and support to maximize their potential, both in the classroom and beyond. With a focus on critical thinking, complex reasoning, and writing, Barton’s professors introduce subjects with fresh perspectives, provide hands-on experiences for students that merge learning with doing, and engage classes through indepth discussions that take students to a higher level of understanding. The result is an annual class of graduates who have developed a vision of competing successfully across the country and abroad because of their Barton Experience. Barton College is “inspiring futures” by “turning beliefs into accomplishments.”Wilson Community College, established in 1958, is one of the North Carolina Community College System’s oldest institutions. The College seeks to make a difference in the Wilson area by offering accessible, affordable, and student-centered opportunities for both academic and personal enrichment.Wilson Community College offers 35 different curricular programs of study that lead to an associate degree, diploma, or certificate. Financial aid is available for students who qualify in the form of grants, loans, and scholarships. The Continuing Education department, through partnerships with local businesses and industries, provides training opportunities and career advancement courses for working professionals. Programs of instruction are also designed to lead some students to the achievement of basic skills and to enable them to progress to high school equivalency certification. The Wilson Early College Academy, a joint partnership with Wilson County Schools, is located on the campus of Wilson Community College. The academy enables students to earn a high school diploma and complete college credit to earn an associate degree or complete transfer requirements within five years. The mission of sustainability awareness is embraced by the College through the development of sustainable curricula and programs, and demonstrated through our own facilities and the state’s only LEED Goldcertified community college building. 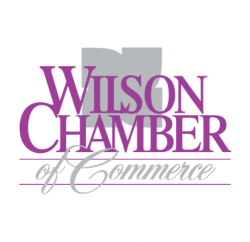 Wilson Community College creates success…hope, opportunity and jobs through innovative, affordable, and sustainable education leading to the workplace of tomorrow. The Eastern North Carolina School for the Deaf is located on Highway 301 in Wilson. ENCSD operates under the Department of Public Instruction and teachers meet certifi cation requirements of the State Department of DPI and the educational program is in compliance with the State Board of Education. We are one of two schools for the deaf in North Carolina that is dedicated to providing an appropriate environment in which a hearing impaired child can develop to his/her maximum potential in all areas: academic, vocational, communication, social, emotional, and independent living skills. ENCSD serves Kindergarten – 12th grade, serving 54 counties in Eastern North Carolina.